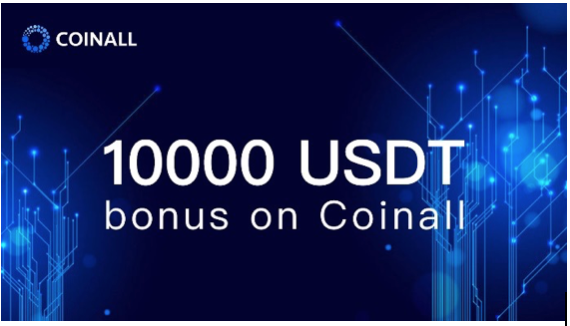 CoinAll has today announced the launch of a new user campaign which will last a month and features a 10,000 USDT bonus pool. Users who complete the two-task mission will have a chance to share in the bonus. The campaign comprises two tasks. In task one, new users have to register on CoinAll and pass KYC1 verification. In the second task, new users need to deposit CoinAll-listed cryptocurrencies into their accounts. Upon completion of the two tasks, they will get the bonus. The campaign is open to all digital asset traders from around the world. “Community is the foundation of CoinAll. We hope to make it larger and stronger. Together with our users, we endeavor to make the industry better in the near future,” said Katherine Deng, General Manager of CoinAll. CoinAll is a community-driven exchange, which means the users of the CoinAll community have the power to influence the development of the exchange. CoinAll also launches various promotions for the community as well. For example, the blockchain quiz show “Who Wants to Be a COINALL-inaire” hosted in March, featured the industry’s first “decentralized question bank” and attracted hundreds of thousands of participants. By answering 10 questions correctly, users could take home hundreds of USDT in prizes. While enjoying the fun and bonuses, users also broadenedtheir knowledge about blockchain technology. By offering a variety of campaigns, CoinAll has rapidly established a community of tens of thousands of members. Besides community development, CoinAll also spares no effort in offering high-quality blockchain projects to traders. For example, COSM, which will be supported by Samsung’s latest flagship smartphone and is the first dApp partner of Samsung, was one of the very first offerings by the exchange. CoinAll has also listed other well-received projects such as BTT, ZIL, ONT, and Grin. As an fast-emerging exchange, CoinAll was recognized as the first strategic partner of OKEx, the top-class exchange in the world. CoinAll is showing great ambition, pledging to become top-20 exchange in the world within 1 year with the help of OKEx.